Be sure to include a quantity for each item, and the shipping address. Tax and shipping will be added to the prices shown below. 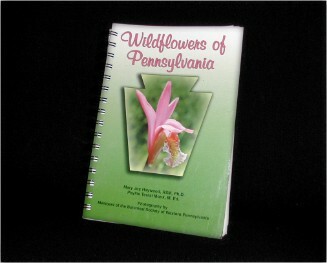 This publication contains 612 colored photographs of different wildflowers of Pennsylvania. These beautiful photographs were taken by members of the Society. of use. 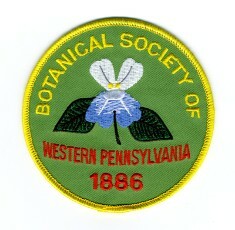 $20 plus PA tax. This beautifully embroidered work of art is 4 inches in diameter, and looks lovely in a frame, too. $5.